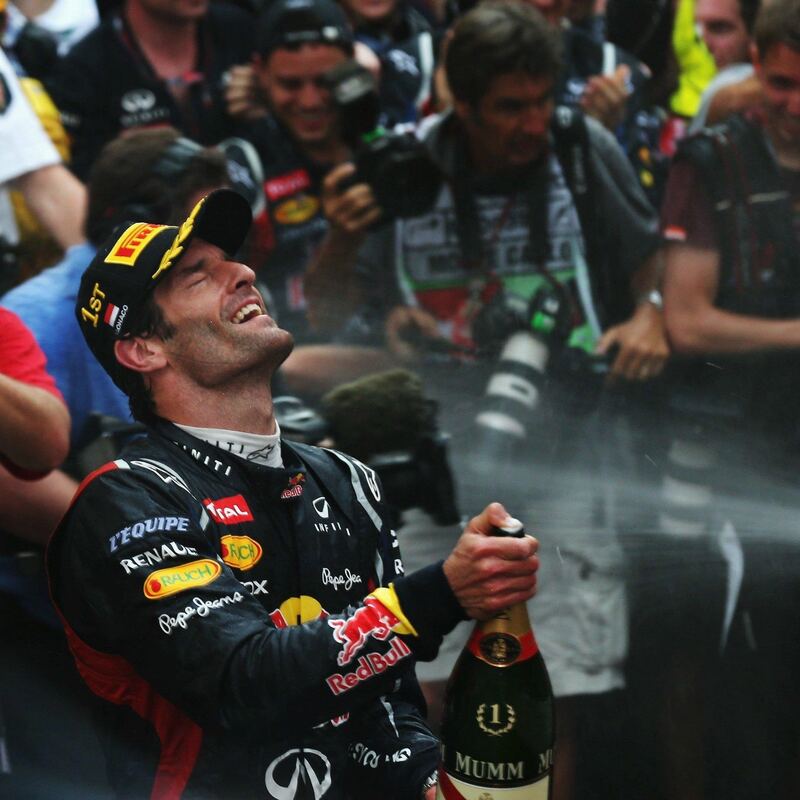 Mark Webber got his big break into Formula One when he finished runner-up in the 2001 Formula 3000 Championship, when he then earned a starting place in the 2002 Minardi Formula One racing team at the age of 25. 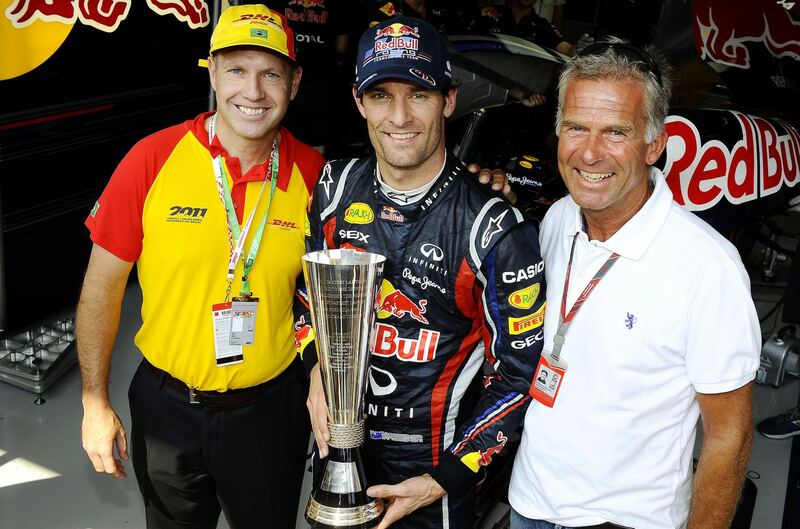 Seven years later, he would win his first F1 race, conquering the Germany Grand Prix with Red Bull Racing – becoming the first Australian driver to win a Formula One race since Alan Jones won in Las Vegas in 1981. 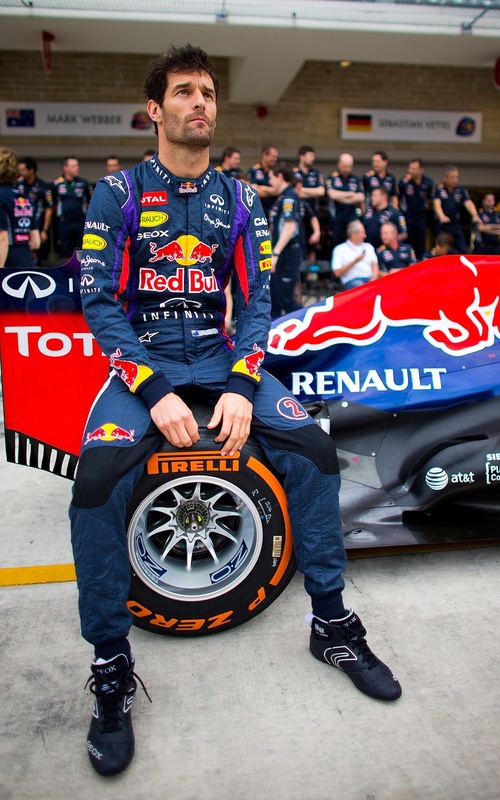 In an era where we have seen modern greats like Michael Schumacher and Fernando Alonso, as well as emerging and now dominant forces of Lewis Hamilton and Sebastian Vettel, Webber held his own, earning a reputation as a fierce competitor on the track but leaving it as one of the most popular drivers out of the car. 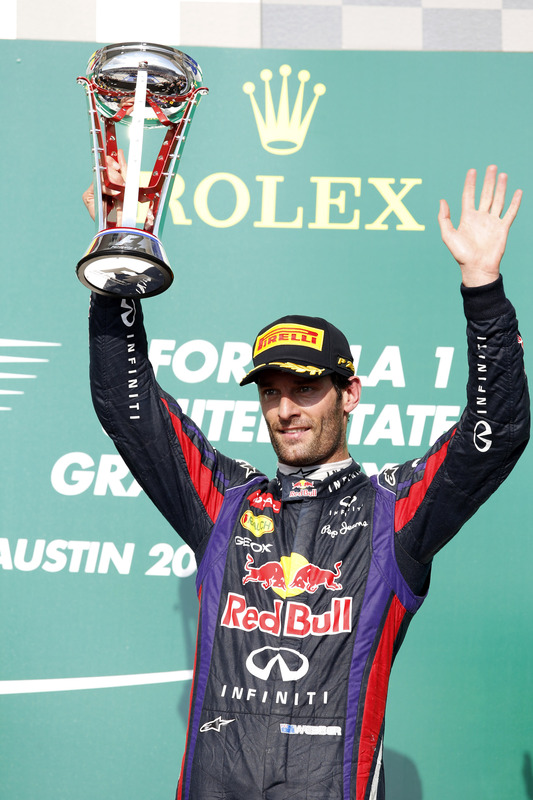 With nine Formula 1 Grand Prix wins, 42 podium finishes, and three top 3 finishes in the F1 Driver's Championship, the Australian called time on his glittering F1 career in 2013. 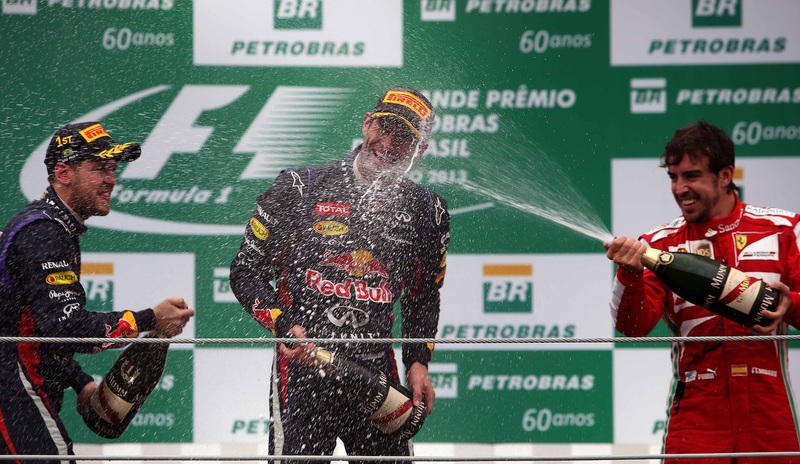 In his swan race, he placed second at the Brazilian Grand Prix in Sao Paulo in 2013, appearing between Vettel (World Champion in 2010, 2011, 2012 and 2013) and Alonso (World Champion in 2005 and 2006), an apt representation of his times straddling the transition between the old and the new guard. 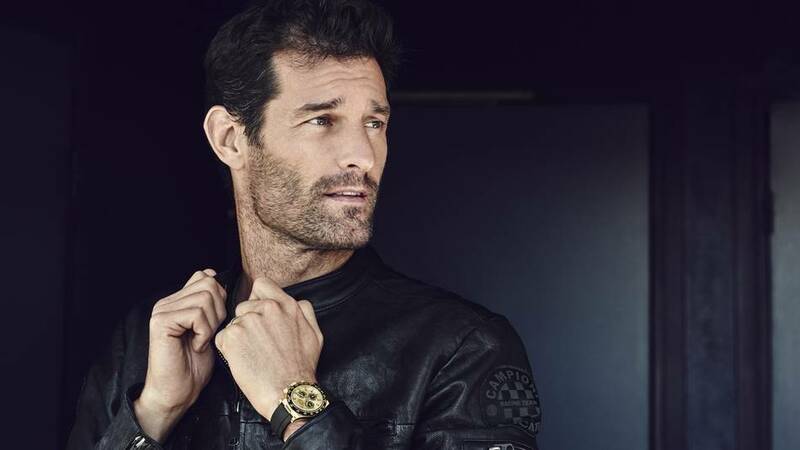 In 2014, Webber went into endurance racing when he signed with Porsche's LMP1 class in the FIA World Endurance Championship. 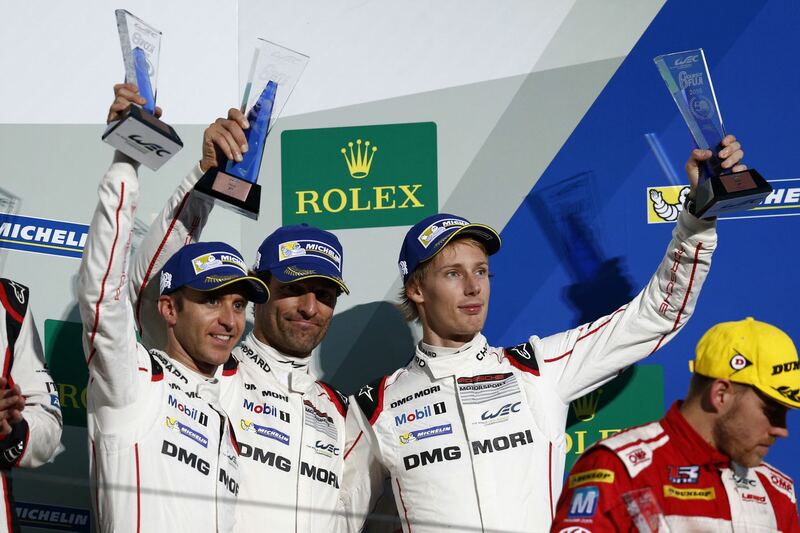 Alongside his teammates Timo Bernhard and Brendon Hartley, the trio won the World Drivers’ Championship in 2015. 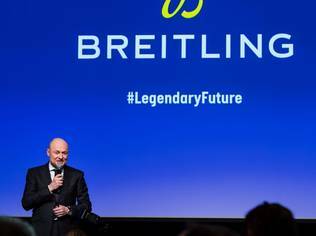 In 2017 after retiring from competitive motorsport racing the year before, he was nominated as the Grand Marshall for the legendary 24 Hours of Le Mans, a race he had finished second with his team just two years earlier and one in which he had competed at five times since his debut in 1998 for Mercedes-AMG. The 'Country Boy' with 'Aussie Grit' as Mark often calls himself, has endeared with his quiet confidence in a sport where ego is measured by three decimal places, and returned to this year's Singapore Grand Prix in his new role as Rolex Testimonee - a title the Global Partner and Official Timepiece of Formula One bestows upon the personalities it has spokesperson and brand ambassadorial arrangements with. WELCOME BACK TO SINGAPORE. HOW HAVE YOU FOUND RACING HERE? It's a sensational event. World class. It's well organized. The drivers love it. The teams love it. It's not a chore to race here. [But] it's a tough race physically for the drivers. DID IT HELP GROWING UP IN AUSTRALIA TO ACCLIMATIZE TO SINGAPORE'S CONDITIONS? It's a different humidity. It doesn't really give you an advantage growing up in Australia. I think your preparation here as a driver here... you have to be very organized. Your diet has to be good. Months and months in advance. We will lose 2 kilos easily [during the race]. I had many tough nights here on Sunday after the race in the hotel just to have a cold bath [to recuperate]. One year, my heels had blisters because the temperature on the floor was very hot. It's a really hard one. [But] it's a signature event on the calendar. I do miss the team element. In Formula One you work with the best people. It's cutting edge. They're always looking for gaps on what can give you an advantage. 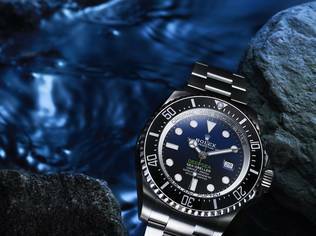 That is why Rolex is here as well, because Rolex has always been synonymous with being the best. 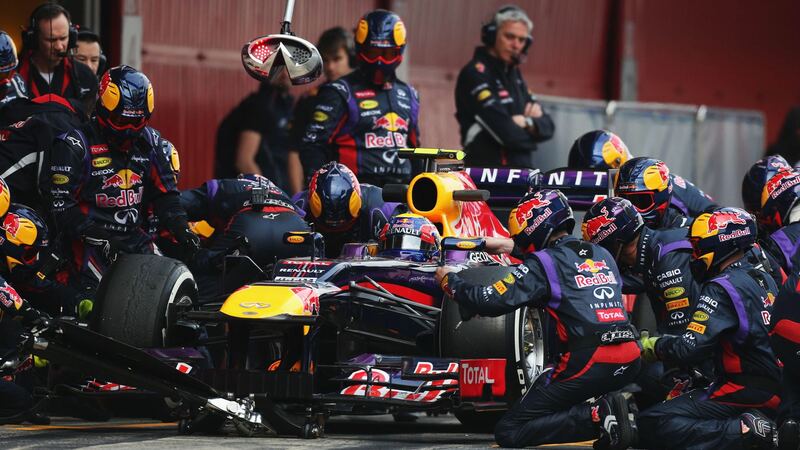 And in Formula One, we want to work with the best people. As a driver, you miss some of that mentality. Because the people are born winners - the engineers, the mechanics - they love winning. So that's a beautiful environment to be in. I miss some of that but I know it's a young man's game. I retired at the right time. I was 38. "As a driver, you miss some of that mentality. Because the people are born winners - the engineers, the mechanics - they love winning." IN 2009, AFTER YOU WON YOUR FIRST GRAND PRIX, YOU BOUGHT A ROLEX. 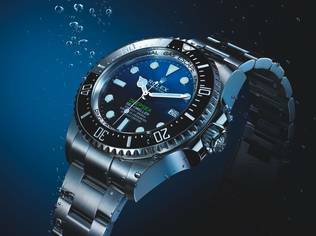 OF ALL THE WATCHES, WHY ROLEX? Absolutely very easy decision. I had been waiting for a very significant moment in my life to give myself a present. [The win] had meant so much to me and it was nearly a 15-year mission to get to winning a Grand Prix from when I started go-karting when I was twelve years old. 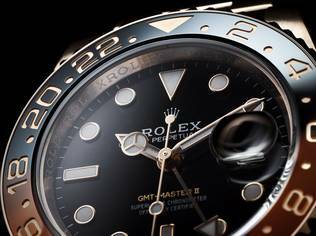 Of course I wasn't thinking of Rolex when I was twelve but [as] I got older, I saw how classy, how sophisticated, how timeless [Rolex watches are]. I knew that once I had done something special, [I would get one]. So it was on the radar for a long long time. YOU BOUGHT A ROLEX FOR YOUR FATHER'S 70TH BIRTHDAY AS WELL? My dad used to watch Jackie Stewart race in Australia and Jackie was with Rolex [back then]. 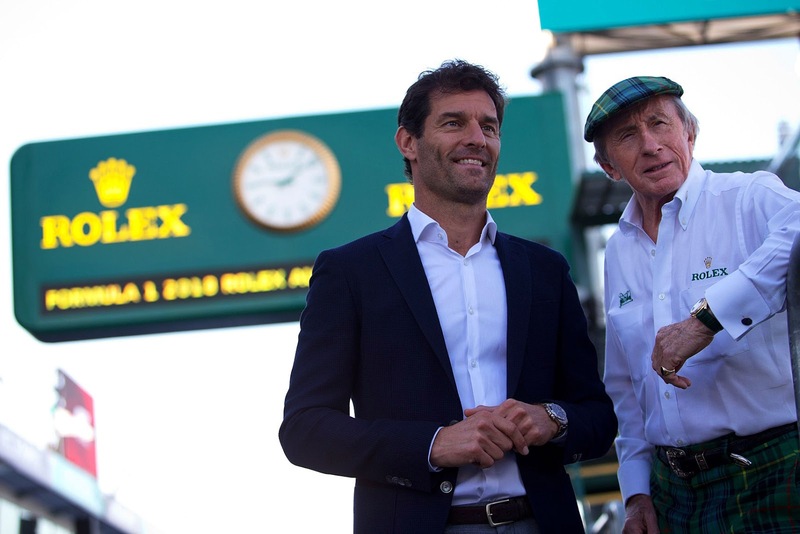 It's been fifty years since Jackie has been with Rolex. So I think the heroes that my dad had, fueled the passion and desire he had to see me race. He never raced himself. It's amazing how it went full circle. Jackie, my dad... the real father figures of my life have been in and around Rolex for a long period of time. So it was quite nice for me to get into a position to be able to buy myself one first of all and of course buy my father one as well. 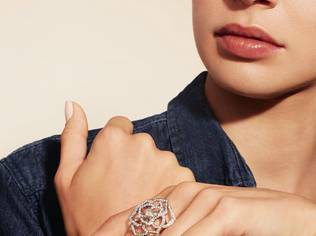 HOW DID YOU BECOME A ROLEX TESTIMONEE? 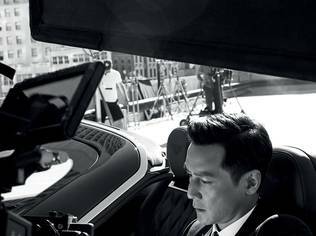 When Rolex approached me about becoming a testimonee, I think there [was] no question about it. 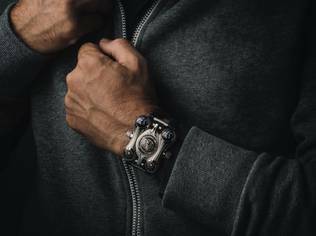 Every driver from Formula One, DHL Fastest Lap in F1, Daytona 24 Hr, LeMans 24 Hr [knows], you get a Rolex [when you win]. And the drivers are always talking about the Rolex, not the trophies. The trophies are not with you all the time, whereas a watch is. When Rolex rang me and we had a discussion, it was a highlight for me. "And the drivers are always talking about the Rolex, not the trophies. The trophies are not with you all the time, whereas a watch is." WHAT VALUES OF THE BRAND DO YOU ASSOCIATE WITH? Racing is in [Rolex's] veins. [Rolex] has been [involved with] racing for a long time. 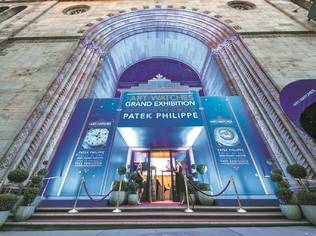 Never resting on their laurels, producing cutting-edge watches. WHAT IMPORTANT LESSON IN LIFE HAVE YOU LEARNT FROM THE TRACK? You learn how to work hard. There's no substitute for hard work. It's absolutely crucial. Resilience is a great quality to have. You learn to deal with the ebb and flow of professional sport. You're gonna have tough moments, life is not a straight road. The weak people get found out in sport. You need to be tenacious and resilient and be a big believer in yourself. That's what motor racing gave me. WAS THERE ANY SACRIFICE YOU'VE HAD TO MAKE IN F1? ANY REGRETS? A lot of people talk about sacrifices and what they did but I think if you really want something, there's no sacrifices. There's no real Plan B. You just have to make it happen. You've got to be prepared to do what other people aren't prepared to do. In terms of your work load, in terms of your stamina level, you've got to set yourself above others. [You can't say] I want to live in Australia and become a Formula One driver - it's not possible. I had to leave at 17 to go live in London in a small box room in which I can hardly lay straight in. It's a big difference from where I grew up. There's only 2 choices: either roll-up your sleeves or go home. [And yet] if I knew what I had to do at the end of my career, at the start, I probably wouldn't have done it. Because you are so naive as to what you really have to do. Naïveté is bliss. It's a good thing because you're hungry for something and you don't know how much you're gonna have to give. Eventually you get on this train and you're committed now. That's when you learn what it takes to be a professional.